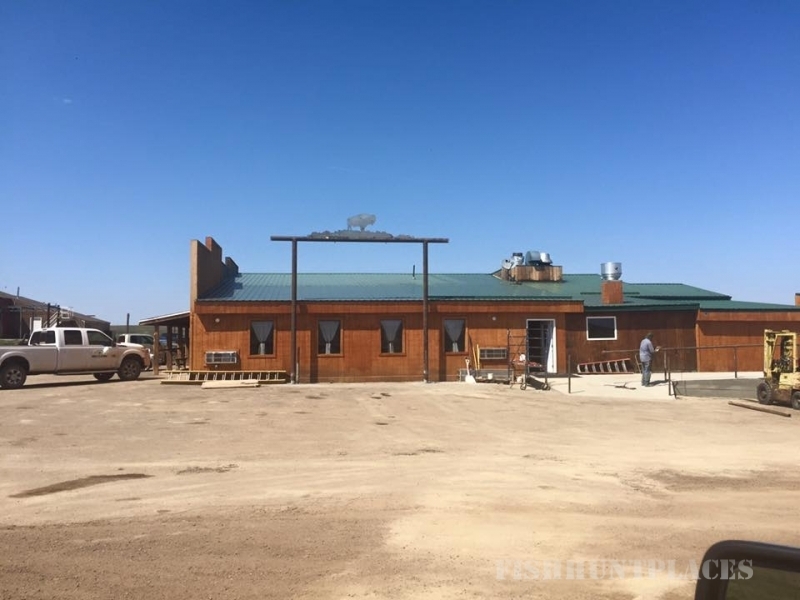 If you’re looking for an overnight rest or days long adventures in the North Dakota Badlands Buffalo Gap Guest Ranch and Trail Head is the place for you! 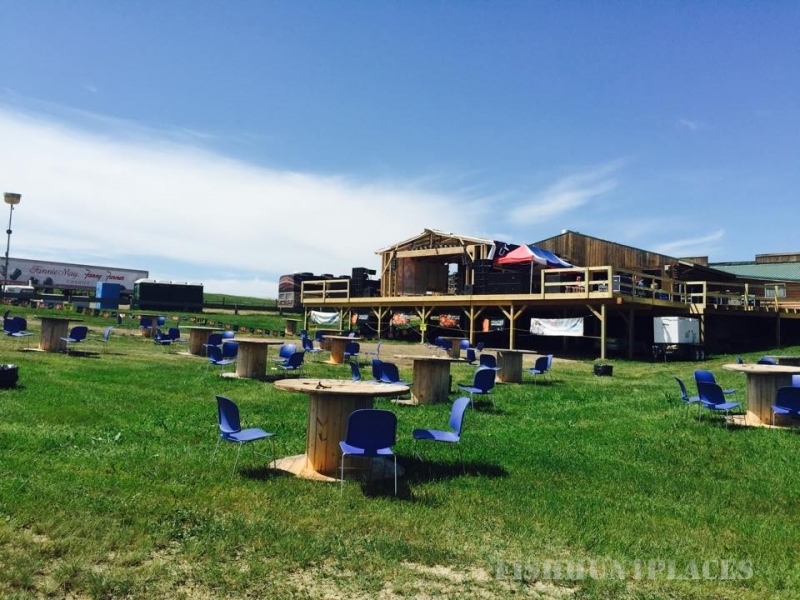 We offer full service lodging with a restaurant and lounge, camper hookups and dry camp sites plus we have extra stock and arena facilities if you would like to bring your own mount. Get up close and personal with some of the most spectacular scenery in the west. After an adventurous day in the Badlands rest yourself in one of our 27 modern furnished, air conditioned rooms built in a rustic log cabin style or hook up to services on one of the camper sites. If you are traveling with stock, we have them taken care of to; there are barns, segregated pens, corals and a new arena with clean fresh water and room for 80 head. Feed and certified hay is available. In addition to lodging and trail riding opportunities, folks find our arena and stable facilities ideal for their Team Roping and Calf Penning competitions and more than one couple has tied the nuptial knot or held their reception in Code of the West fashion right here at Buffalo Gap Guest Ranch. See what Buffalo Gap Guest Ranch can offer for you! 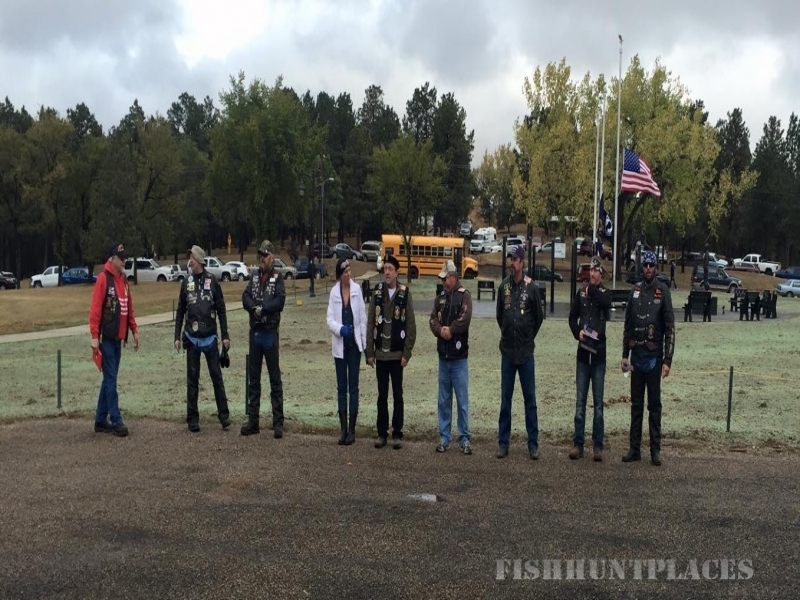 Buffalo Gap Guest Ranch has something for everyone whether you sport is big game, small game, fowl, or fishing. Local reservoirs are socked with fish for quiet, family fishing sports. If you aren’t having any luck on the reservoirs another fishing spot is Camel’s Hump Lake. 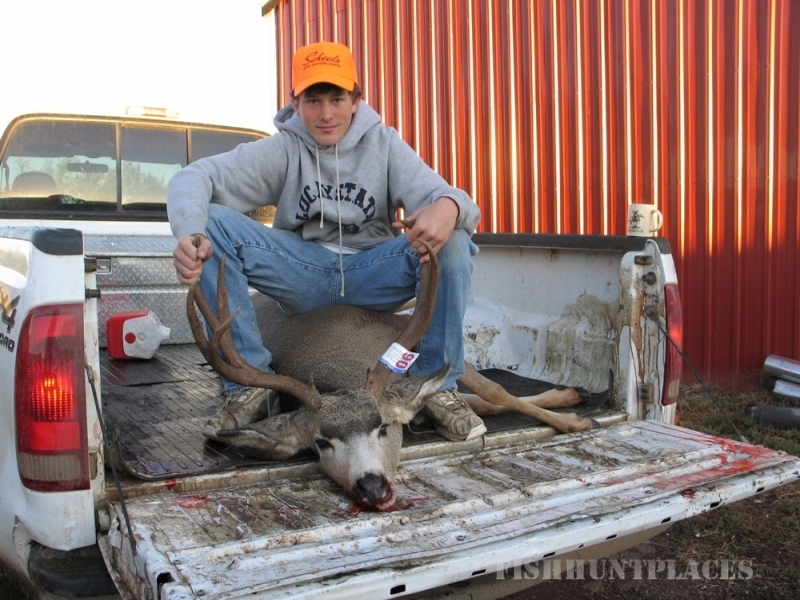 Enjoy the hunt at its finest in the North Dakota Badlands, whether its bow, rifle, or shot gun. With land at the Badlands we have strong populations of the many wild game species for hunting.There are hunting packages available, please inquire for seasons and rates. 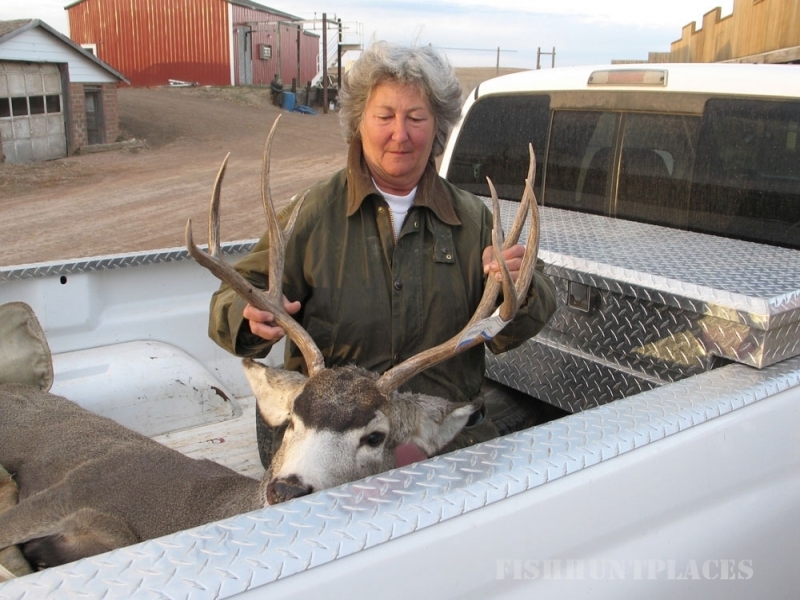 Hunters are responsible for obtaining big game licenses before arrival at the ranch. Small game, fishing, bird, and bow licenses available at Buffalo Gap. 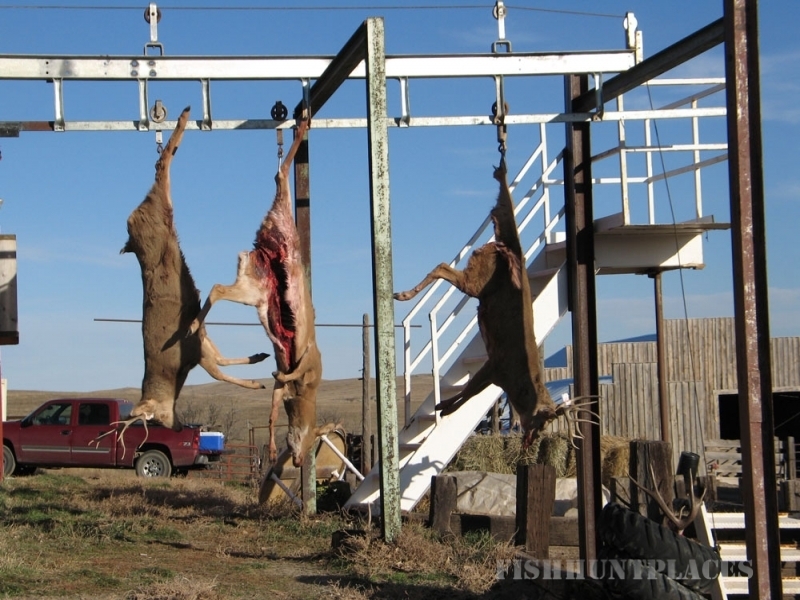 We also offer game processing on site.